There were two mothers and two daughters,and they all went fishing. All of them caught a fish but when they counted there were only three fish. there was only three because there was a grand mother a mother and a daughter. The mother was the daughter to the grand mother and she was the mother to the mother and the daughter was the daughter to the mother. 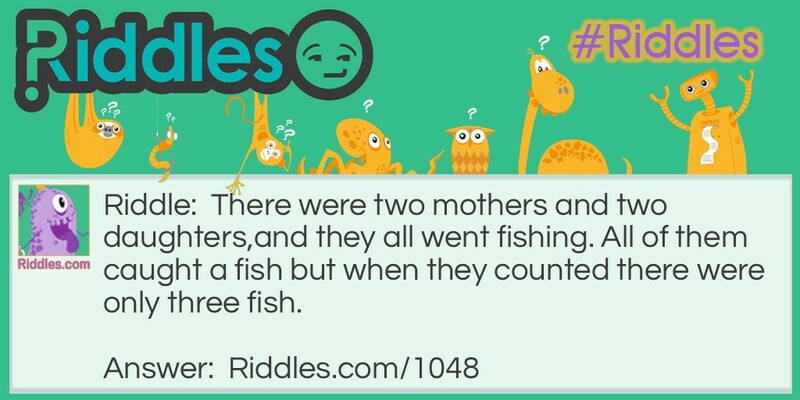 Two mothers went fishing Riddle Meme with riddle and answer page link.